Pigment dispersion syndrome. I thought that was what all painters have. You take some pigment and disperse it around a surface. But no, although an ironic name in my case, it is a rare disease of the eye that I was diagnosed with this week. Not to worry, it is slow-moving and although not directly treatable, the end result, pigmentary glaucoma, is somewhat treatable. 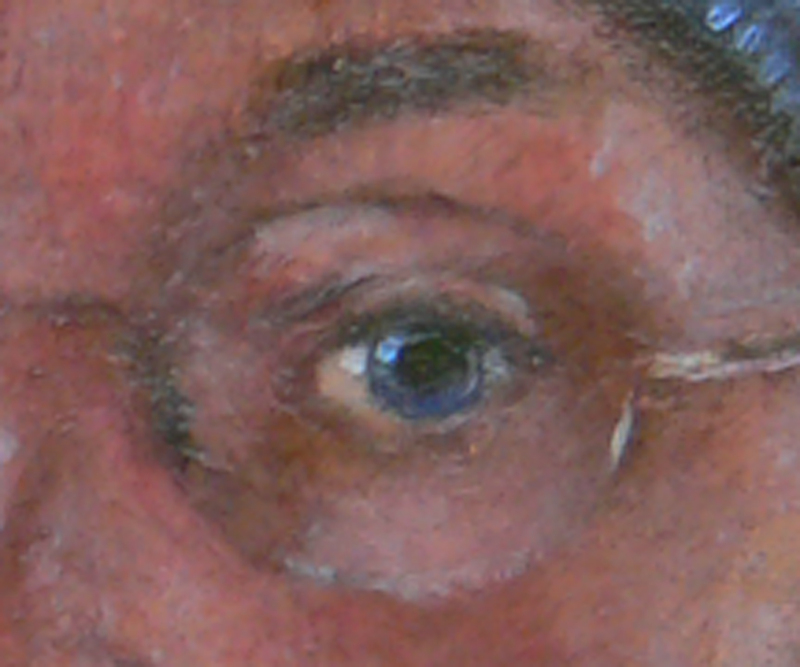 I still have many years to paint before my eyesight deteriorates to any extent. So this brings me to what I really wanted to talk about, although in a roundabout way. Thanksgiving. With this diagnosis I no longer take my vision for granted. It is a sharp reminder that we are not here forever. I wake up every morning and am grateful when I open my eyes and can see. I can see my loved ones. Imagine if you couldn’t? I also want to give thanks for the vision that I have had throughout my life. It has allowed me to express my creativity in wonderful and unexpected ways. Thanksgiving has always meant a day to share time with the wonderful people in my life. I don’t get to see many of these people very often. The food is a bonus..the real blessing is the shared and new memories made with people I love 🙂 See you on Thursday! What an odd gift for a painter to receive. I struggle every day with the challenges that life has given me and wonder “why me?” – and I think of that somewhat trite phrase that “God never gives us more than we can handle”. Well, if I am the judge, I would say I’m not handling these things very well. At Meeting yesterday, Julie Forsythe shared a thought, that I can’t remember, something about prayer letting things out and in. Then Dody Waring added, in afterthoughts, that whether we are praying for the out or the in, the important thing is to be thankful. For starters, I’m not even sure how to do the praying par, much less the being thankful for both the out and the in. But the words that stayed wth me were Dody’s: to be thankful for that which we are letting in and that which we want to let out. In other words, to be thankful for it ALL. That seems so HARD…how do I do that?!! How can I be thankful for the things that challenge me every day and cause my heart to ache and send me to bed crying, but also fill me with joy and love and wonder? How can things be full of such contradictory gifts? Happy Thanksgiving to you all and thank you for being part of my life.